Have you ever come across a good skincare system that works so well and you love it so much that you look forward to using it every morning and evening? Well, for me it's the Verso Time Reverse Series! I've been using the set for 6 weeks now and I think it's safe to write a preliminary review on it. I know the rule of thumb is 12 weeks to judge any skincare product but these have worked so well for me and I have actually seen results within the first week of use! 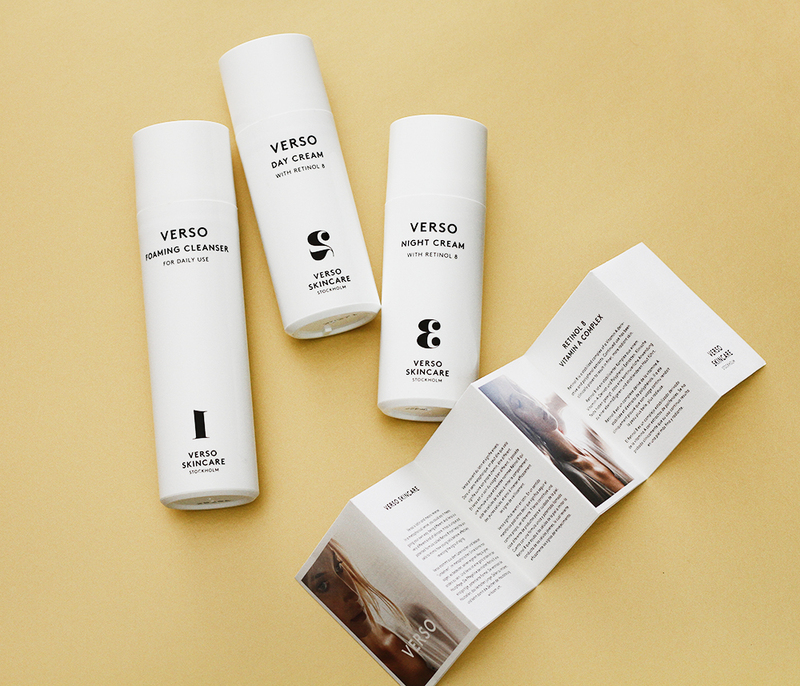 Verso (latin for “reverse“) is a new skincare brand from Stockholm, Sweden. I had heard a lot of great things about their products but it wasn't until I read my blogger friend Sunny's review that I finally decided to try it for myself. I started with the “entry level” series which includes a Foaming Cleanser (1), a Day Cream (2), and a Night Cream (3). Seriously, you can't name your products any simpler than this! And I like it! No need for a long, fancy name with Verso. And the simplicity doesn't stop there. Even the packaging is also very minimalist. A simple white bottle with a brand name, a short product description, and a number (1, 2, 3 backwards) that is so huge you can spot it from a mile away. ;) Each product comes in an airtight pump opaque bottle to shield the active ingredient (retinol) inside from light and air exposure and to prevent oxidization and contamination of the product. 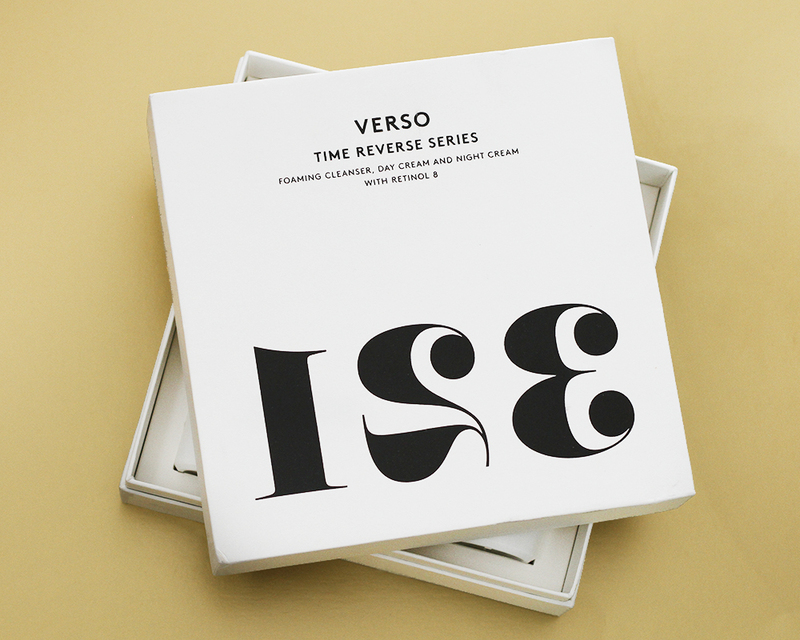 Verso is the first-ever skincare brand to release a non-prescription high dose Vitamin A derivative called Retinol 8 complex which is a stabilized vitamin A complex that is supposedly eight times more potent than standard retinol in the same dosage. It is also less photo sensitive so it is only minimally affected by UV rays and oxygen and thus, making it safer to use during the daytime. With continued use, the Retinol 8 complex stimulates the skin’s own production of collagen and hyaluronic acid to minimize the signs of aging and over time, your skin will appear younger and healthier. Additionally, All Verso products are formulated without parabens, sulfates, phthalates, colorants, mineral oils, or other harmful substances. They are truly a science-based skincare system that is proven in clinical trials for their efficacy and safety. It is white in color and super light in texture. The cleanser doesn't actually contain any retinol product but it does have Carica Papaya Fruit Extract that contains papain and chymonpapain enzymes as an exfoliant to remove dead and damaged skin cells. It is a pretty mild cleanser that foams into a creamy lather once the water is added. Verso suggests lathering with lukewarm water and finish with a splash of cold water! My skin feels really clean after washing without the tight stripped feeling associated with most cleansers. 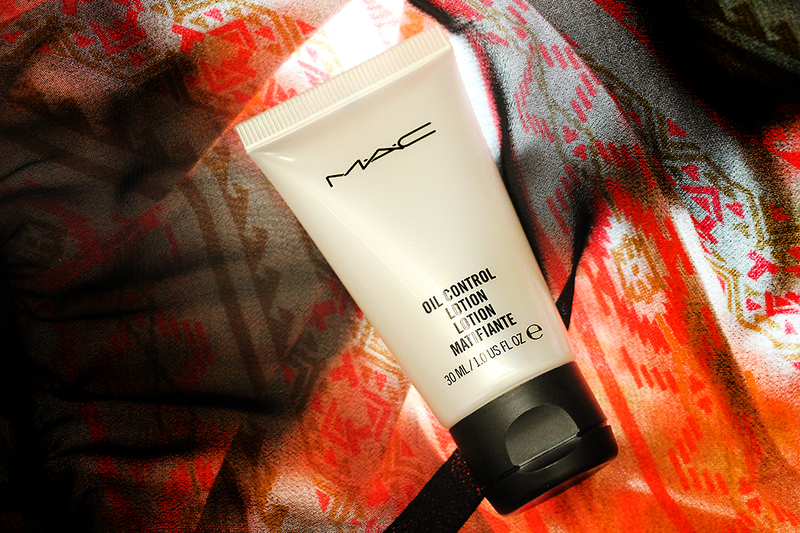 The texture is of a lightweight moisturizing lotion with a pale yellow tint. It spreads easily on the skin and absorbs instantly leaving my face soft and supple. It is extremely hydrating and never leaves my skin greasy or oily at all. I usually apply it after my face serum, let it sit for a minute or two to ensure complete absorption, then follow with my regular sunscreen. In addition to the Retinol 8 complex, the Day Cream also contains Niacinamide to reduce the signs of aging and hyperpigmentation, Curcuma Longa Root Extract to provide antioxidant protection, Pepper Extract to improve absorption of active substances into the skin, Vitamin B3 to increase skin luminosity, and finally sun filters to protect the skin from UV damage. The Night Cream has a calming and repairing effect on the skin. 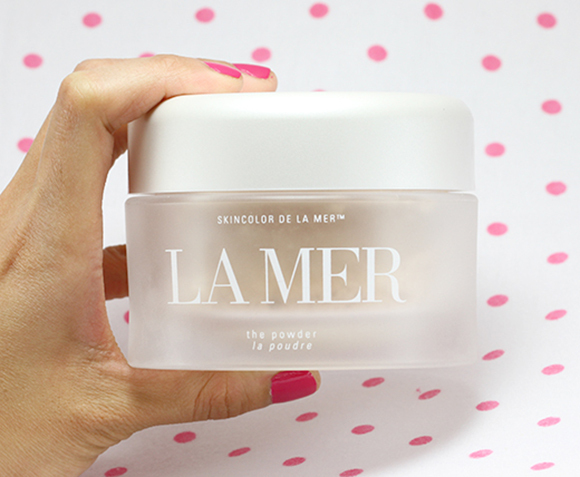 It has a lightweight, gel-like texture (it feels much lighter than the Day Cream), with a slightly cooling sensation. It spreads really well over the face and neck and sinks in immediately leaving no residue behind. It feels so light and the first time I used it, I was so sure that it wouldn't keep my skin hydrated enough throughout the night but I was wrong! I normally rely on some face oil to retain the moisture on my skin while I sleep, but with the Verso Night Cream, I can skip not only the face oil, but the face serum and everything else! It is absolutely astounding how such a lightweight cream (gel) can keep my winter skin so hydrated throughout the night and into the morning without any help of other skincare products! It has completely simplified my nighttime skincare routine by cutting the time in more than half and I couldn't be happier. 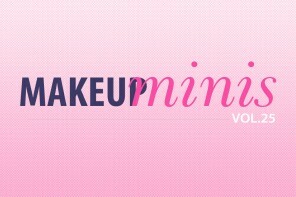 Less time pampering = more time sleeping = #YES! :) The Night Cream contains similar ingredients to the Day Cream but also has Oat extract as an antioxidant to protect the skin from future damage. When I first started using the set, I really didn't know what to expect since I had never used any retinol product before. I was mentally preparing myself for the known side effects such as drying and redness but to my surprise, my skin did not have adverse reaction to it at all. Granted, my face felt perhaps a tiny, tiny bit drier than usual in the first few days (which I was happy about because I knew the Verso was working its magic!) but after that, it seemed to adjust itself really quickly and now I don't feel any drying effect anymore. I have been using the Foaming Cleanser twice a day, and the Day Cream and Night Cream once a day for exactly 6 weeks now and I have witnessed several major improvements on the condition of my skin just only 2 weeks into the regimen. My complexion now appears finer, clearer, and smoother overall with the redness from acne scars and hyperpigmentation slowly fading away. The size of pores on and around my nose and inner cheeks seems to be smaller and less noticeable. I am getting less and less whiteheads and blackheads and the clogged ones are slowly getting cleared up. Fine lines and wrinkles are still there but they are definitely less apparent. 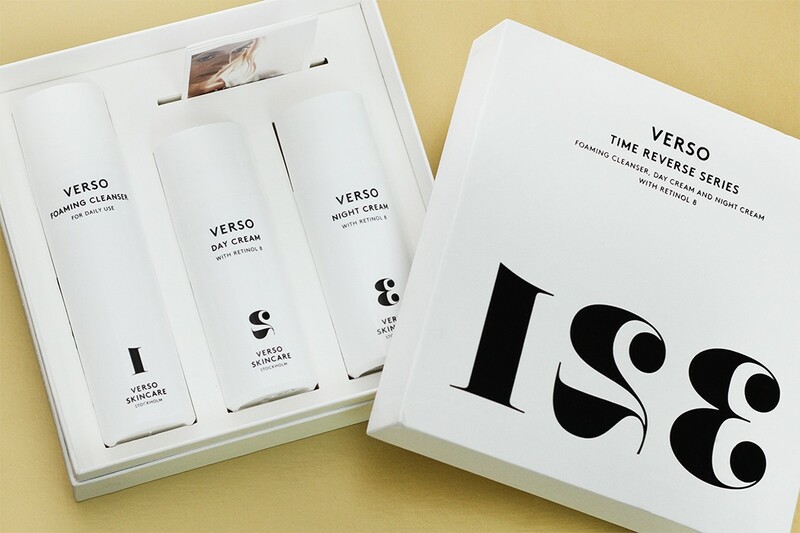 Note: Even though my first experience with Verso didn't cause me any severe side effect, I would advise those who have sensitive skin to start with the least amount possible and/or apply it on your forearm first to see how your skin reacts to it before applying it to your face. Overall, I'm just really happy with the Verso Time Reverse Series. 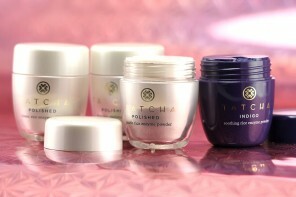 I can't tell you whether you'll be getting the same results since skincare effectiveness is subjective. I also cannot tell you whether you'd see similar improvements if you were to use only one product out of the three since I haven't used them independently of each other. I can only tell you that, just like any skincare product, the effect isn't immediate, but with continued use, my skin has really improved so much and I can only see it getting better and better from here on out. Their oil sounds good but I’m not sure they are the only ones with Retinol. My SK oil has it and so does Sunday Riley Luna. 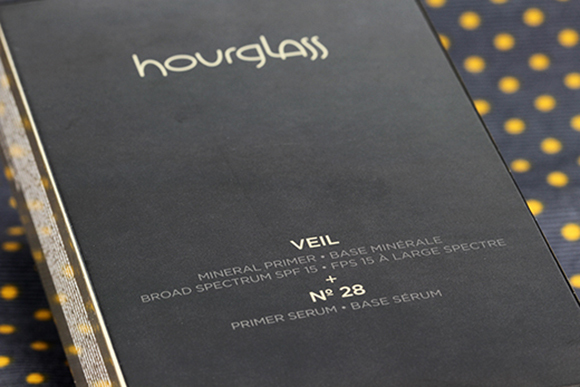 I’ve wanted to try the set and the serum for some time now! Hey Jaa, thanks for the shout-out! I’m so glad to hear you have Verso a go and that it works well for you! For the moment I am on their serums, but I definitely plan to repurchase the night cream as well as trying that oil when I get the chance! It’s so super exciting!!! My skin thanks you, Sunny! But my wallet blames you, bhawahaha! Such glowing review! I’m intrigued now… Who doesn’t want better skin? Get it get it get it and let’s blame Sunny together! Hehe! I’d like to try that stuff! It looks awesome :D always looking for a good night cream! Yay to Verso! Sunny got me intrigued too! :-) I think I might go for that Night Cream at some point.. thats one thing I find missing in my routine! Great in-depth review. I’m SO happy you’ve found a system that has helped keep acne at bay and has improved the appearance of your skin! 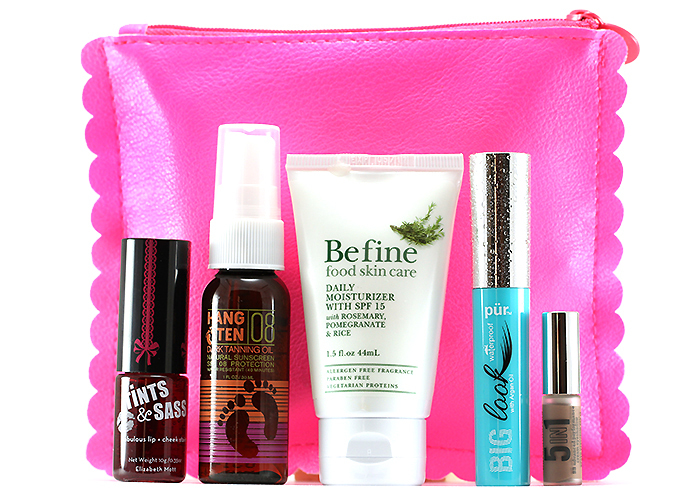 I had no idea retinol products could be so effective for fighting break outs. I’ve been using Sunday Riley Luna Night Oil (a retinol oil) for about a month and have had only 1 small zit crop up around my nose. I’m amazed! 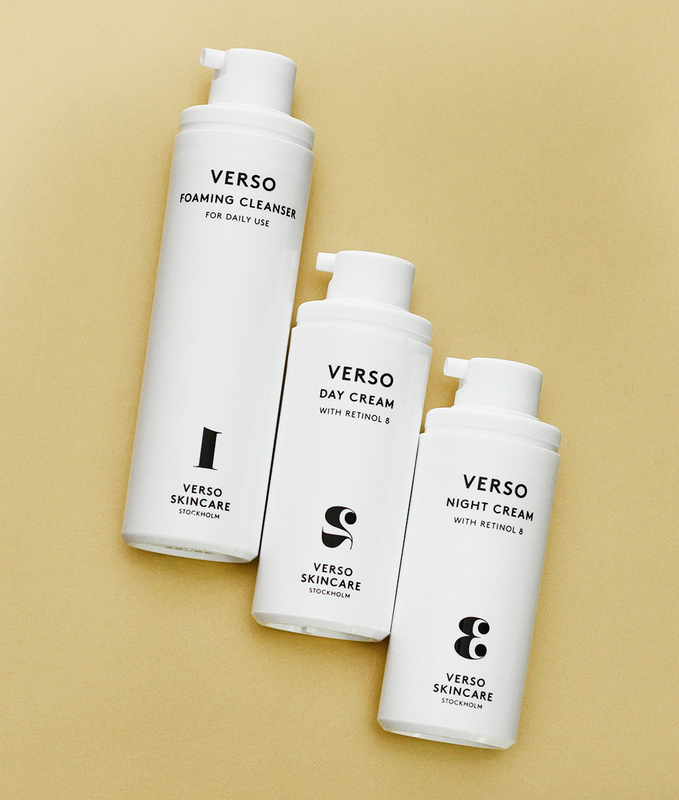 I’m thinking about trying the Verso cleanser and their eye cream since I’ve finished my cleanser and eye cream and want to try something new. Thank you for sharing, Jaa!